This week Mike and Kelly discuss Alice Cooper’s 16th album, “Constrictor” and talk tattoos at the end of the show. After a couple years of “retirement”, Alice teams with Kane Roberts for a most encouraging return. Perhaps a little filler here and there, but this is a very fun album overall. The clear standout song is “He’s Back (The Man Behind the Mask)” from the Friday the 13th series. Constrictor ended up at #8 on Mike’s list and #9 on Kelly’s. 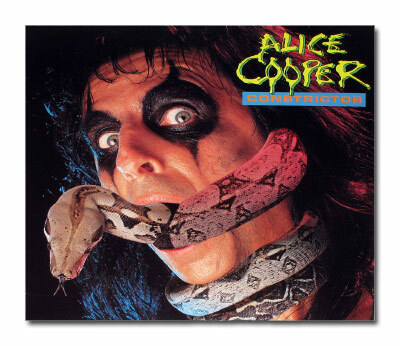 Tagged Alice, Alice Cooper, Constrictor. Bookmark the permalink.